April 3, 2019: Here’s a new resource for information about credit cards from Bankrate.com. U.S. News & World Report, a nationally recognized publisher of consumer advice and information, recently completed a nationwide financial literacy survey in order to get a comprehensive understanding about consumers’ experiences with credit cards. International Towne students gain hands-on experience using a credit card. The results of the study reveal that many consumers don’t understand the basics of credit card ownership, such as credit score, interest rate and the consequences of carrying a balance. This causes consumers to sign up for credit cards that do not fit their needs, to incorrectly use their card, to overspend, and worse, to fall into the never-ending debt cycle. Yet, credit cards are essential to life in today’s economy. Without a credit card, it’s just about impossible to rent a car, to make a hotel or airline reservation, or to purchase items online. Because of this, Young Americans works to ensure youth understand how a credit cards works by providing customers with hands-on experience. For example, students that participate in International Towne learn about responsible use of credit through the program, and they have a chance to put their learning into action when they receive their own credit card to use while visiting International Towne. In addition, Young Americans Bank customers as young as 12 years old can apply for a real credit card. In order to be approved, customers must go through the credit card information packet with a bank representative, which includes an “Are you ready for credit?” quiz. We teach customers that credit cards can be dangerous, but that responsible use of credit cards has many benefits. To start, cards have a monthly limit of $100. If your young adult is ready for a credit card, we encourage you to stop by Young Americans Bank to learn more. 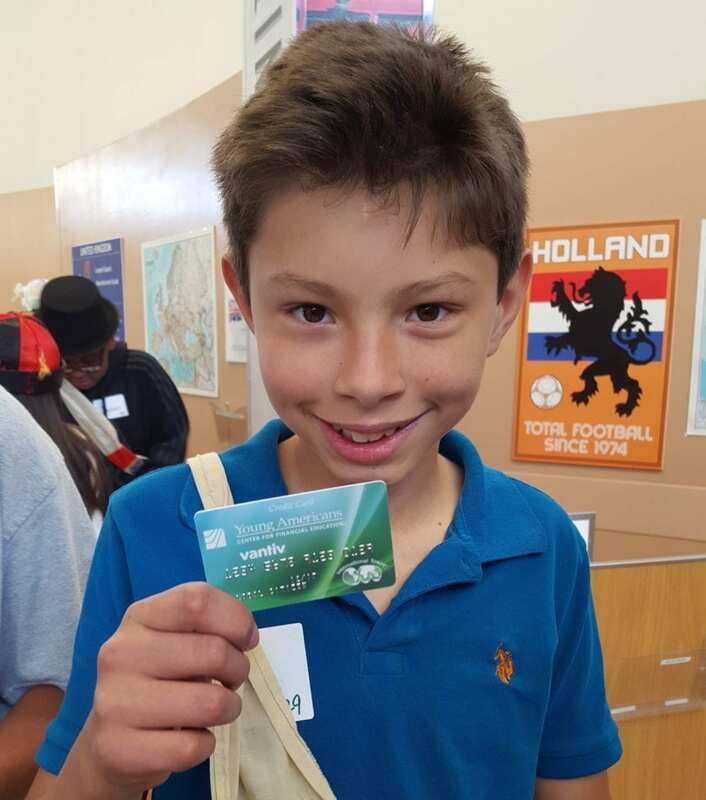 With early, hands-on education about how credit cards really work, today’s youth will be prepared to use credit cards responsibly as adults.